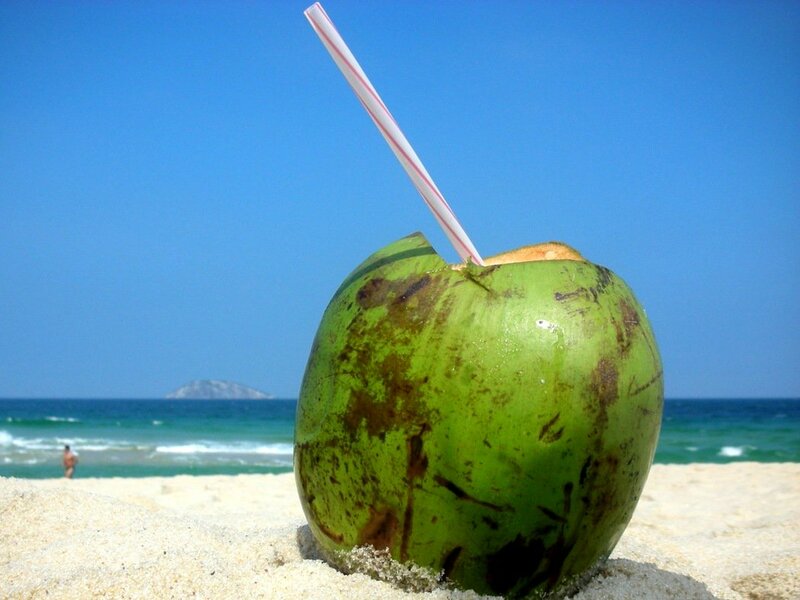 It could very well be that the number-one refreshing drink for most Cubans is “agua de coco,” or coconut milk. It’s natural, exotic and has unique properties when it comes to quenching your thirst and pleasing the most demanding taste buds. I am one of those privileged people who live in a house whose courtyard has several coconut trees. Some of the trees can be as tall as a Royal Palm and these have bright green fruit. I can remember learning how to climb up along the trunk to collect the coconuts which we would rip off their branches by the dozen. The ritual then ensued: the fruit was allowed to “rest” until we could open up its armored shell that, to our anxious imaginations, seemed to be equipped with two dark round eyes. We would then administer a hard blow and the liquid would start to flow. Some preferred to spontaneously tip the coconut to their mouths and others would collect the water in jugs or glasses, planning to drink it later on at their leisure. 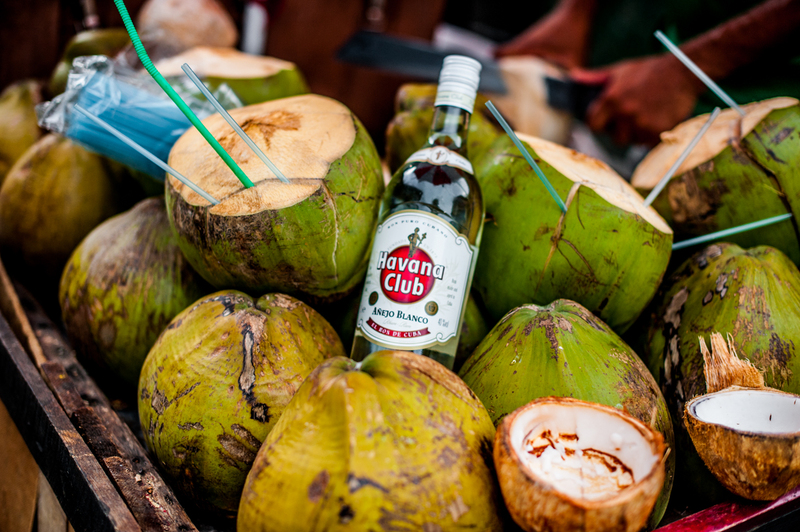 Nowadays as we stroll around Havana we might be surprised to see how visible “coconut water” has become, and this is a city where drinks and snacks are found everywhere, often in fierce competition with each other. After crossing the street in front of the Inglaterra Hotel and walking through Parque Central, you can take the pedestrian street called Obispo and immediately run across several street vendors with their coconut milk drinks. Besides offering this well-loved product, the vendors’ carts also provide the appropriate decorations and messages, popular sayings, graffiti and any number of original bits of artwork. These days, the coconut is not just a spectacle because of its milk or because of the irreverent forms it takes; it has gone to town with in the form of ice cream packed right into the coconut shell. It has become the ideal sweet to accompany you on a walk on some sweltering summer’s day. 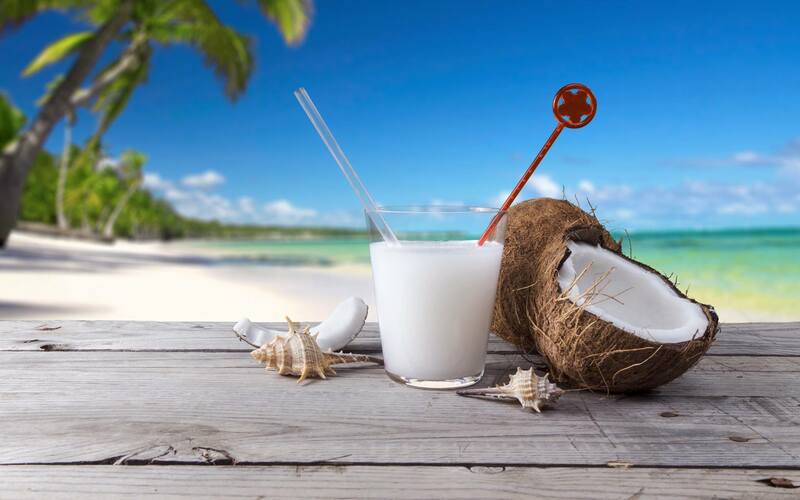 There are a number of legends and myths that have grown up around the special combo of coconut milk and rum. They pair up so well together that they inspire all sorts of improvisations. One of these is saoco, a drink made by mixing eleven ounces of white rum and four ounces of coconut milk. Ice is then added and it’s served mixed and in a glass with a straw. Cuban culinary traditions have coconut desserts in a place of honor: shredding or grinding coconut provides the core of a large number of sweets that get made with either refined or brown sugar. Shredded coconut can also be used as part of other desserts like bread pudding, rice pudding or custards. Many of these can be bought in stores and others are meant to be eaten on indicated dates at family get-togethers. Lately some new ice-cream parlors have sprung up in Havana. They base their products on using fresh fruits and avoiding chemicals. Coconut has become very much in demand by them since its characteristic taste seems to inspire people to go for a delicious ice cream. The importance of coconut seems to go on and on. Used for nutritional purposes, medicines and even in beauty products, its shell has inspired remarkable creativity among Cuban artisans who have taken this raw material as the basis for a wide variety of tropical handicrafts.